If you are travelling to London and have chosen a low cost company as Ryanair or Easy Jet, most probably you will land on Luton Airport. Luton is an international airport based in the north west of London at approximately 35 miles distance from the center of the City. There is a variety of transport methods that you can choose to reach the city and today we would like to present you a fast and easy transfer option – the minicab service. 247 Luton Airport Transfer is one of the best companies in Luton that will cover any transfer to and from London with a variety of vehicles. Most of our customers choose a transfer from the airport to the station, for example: Luton to Liverpool Street station transfer services. Liverpool Street station is one of the most important based in the City of London, with terminals opened for both underground and railway. The station is transited annually by over 53 million passengers making it one of the busiest railway stations in the UK and the 3rd one after Waterloo and Victoria Station. The railway terminus is a main connection line with Cambridge and Norwich and also with Stansted airport via the Stansted Express. The main lines used here are West Anglia Main Line and Great Eastern Main Line. The underground has 3 exists in Liverpool street, Bishopsgate and Broadgate. For those of you who remember Bishopsgate exit was the location targeted by theorists in 1993 and 2015. The tube is in the fare zone 1 and is served by the Metropolitan, Hammersmith&City, Central and Circle lines. 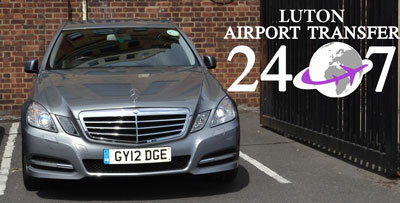 Booking a Luton to Liverpool Street station transfer service is easily done with 247 Luton Airport Transfer. We have a great system that is easily accessed and in a couple of minutes you can secure a private vehicle for your airport transfer. The price for a Luton to Liverpool Street station transfer starts from 60 GBP for a saloon car that can accommodate 4 passengers with luggage. 247 Luton Airport Transfer is providing a variety of vehicles that can suit up to 8 passengers and an estimated price for this capacity is 90 GBP. Other types of vehicles we have in our fleet are: MPV, Executive, VIP and Wheelchair accessible. This journey will take around 1 hour and you will cover over 34 miles. Other means of transportation that will cover the transfer from Luton to Liverpool Street is via the train. You will have to take the Airport bus that will take you to the Luton Airport Parkway, from there take the East Midlands Trains to St Pancras International Station. There take the tube for Euston station via Moorgate and after that you will have to walk for about 7 minutes until you reach your destination. Another transportation means is the bus. Take the 757 line from the Airport Bus Station and change at Baker Street with line 205 that will drop you at the station. The journey will take up to 1h and 40 minutes without including the traffic. Our clients recommend the Luton to Liverpool Street station transfer service for the commodity that the minicab offers. We will pick you up at the airport with a meet & greet sign and provide you with assistance with the luggage. After this you will enjoy the journey in a nice, clean car that will have free Wi-Fi and a reliable driver. For more information do not hesitate to contact us!